In order to meet the O&G safety requirements our customer decided to have Over Fill Alarm system for their tanks. Upgrade of an equipment supplied earlier by DESCON. SIL3 (Safety & Integrity Level) rated protection relays. Integration of existing alarm signals. 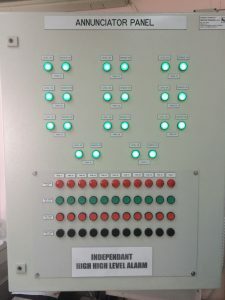 Individual Visual alarm for each tank. Audible Signal for any alarm. Provision to silence the audible alarm. 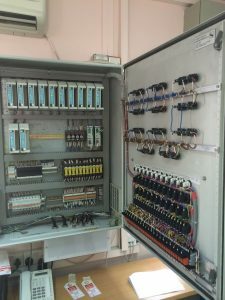 Facility to check / test the system condition. The system was re-designed and integrated by Descon at site.